Whether you're off hauling cross-country loads for weeks at a time or tackling construction jobs on a daily basis, your heavy-duty Mack® truck has the power to take on any task. 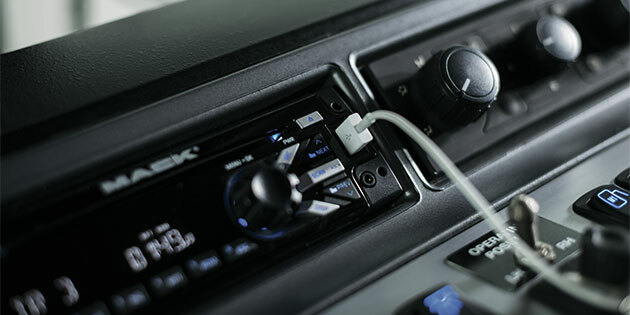 But depending on your truck's application, that power could be consumed by anything from high hotel loads, to halogen lights for nighttime jobsites, to your Mack GuardDog® Connect telematics system. These features make short work out of tough jobs, but only if your alternator can shoulder your electrical load. Just a few years ago, alternators with an output of 130 amps at 12 volts would have done the trick for most regional and vocational fleets. Long-haul fleets might have needed alternators with an output of 150 amps at 12 volts. But anti-idling restrictions and the use of more electronic devices in trucks mean heavier power loads on batteries and the alternators that keep them charged. And if you've added power-draining accessories to your Mack truck since it left the factory, chances are the alternator it was built with isn't cutting it anymore. Record all electrical components, including your telematics system, emission control system, AC unit, headlights, tail lights, cab marker lights, fog lights and trailer lights. Write down the amperage each of those components draws during each working shift and rest period, then multiply the amps with the number of hours the components operate during each working or rest period to determine their electrical loads. Add up each electrical load and multiply that total by 20 percent to calculate reserve for battery charging. Add the reserve and the total electrical load and the reserve together. This will tell you the minimum output your alternator should be producing. When it's time to upgrade your alternator, schedule an appointment with the parts and service experts at your nearest Mack Trucks dealership to help you choose the one that fits your needs. Don't forget to check out high-performance, value priced Road Choice™ alternators. You can also order starting and charging components online through SELECT Part Store™, where you'll find monthly specials on high-demand parts and supplies.